Members of Congress may not always agree and they may have challenges working together, but on Thursday they put their partisan differences aside for America's favorite pastime. And, it's for charity, too. WASHINGTON — Members of Congress may not always agree and they may have challenges working together, but on Thursday night, they put their partisan differences aside for America’s favorite pastime. And, it’s for charity, too. The Democrats beat the Republicans 21-5 in the Congressional Baseball Game for Charity at Nationals Park. The annual bipartisan event sees Congress members of both parties solidify friendships off the floor and on the field. 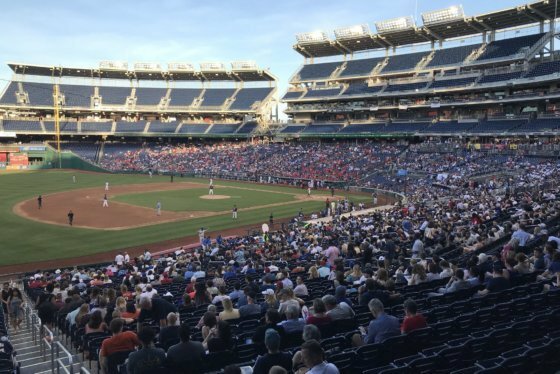 The Congressional Baseball Game for Charity brings together Republicans and Democrats for a game of baseball at Nationals Park. 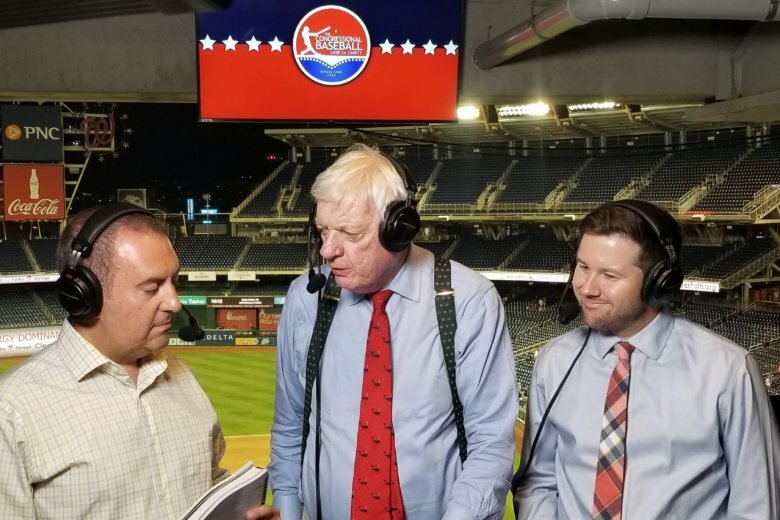 The game was broadcast on Federal News Radio — WTOP’s sister station — on 1500 AM and online. The broadcast was the fourth year for Federal News Radio, and the Facebook Live coverage was the first for WTOP and Federal News Radio. Though members of Congress may not always agree on Capitol Hill, they came together for America’s favorite pastime Thursday night. See photos. The game supports charities in the D.C. area, which include The Washington Literacy Center, The Boys and Girls Clubs of Greater Washington and the Washington Nationals Dream Foundation. In gratitude to the U.S. Capitol Police, who protected members of Congress during a shooting at a practice session last year, the game also supports the U.S. Capitol Police Memorial Fund. On June 14, 2017, House GOP Whip Steve Scalise, R-La. ; Congressional staffer Zach Barth; lobbyist Matt Mika; Rep. Roger Williams, R-Texas; and two Capitol Police officers — David Bailey and Crystal Griner — were injured when 66-year-old Illinois man James Hodgkinson began shooting at members of Congress who were practicing at a park in Alexandria, Virginia. Scalise, Mika, Barth and Griner were shot. Bailey and Williams had injuries related to the shooting. Scalise was shot in the hip, which fractured bones and internal organs. He was in shock when he arrived at the hospital and underwent immediate surgery and another procedure to stop the blood loss. Hodgkinson was killed in the firefight with police.